Well it’s a new year, a time for self-reflection and looking back at the year passed, what worked and what didn’t, always working towards self-improvement. Here at Phoenix Safe we have been doing the same, only instead of looking back at ourselves as people, we looked at our products, what we could do to improve and better our ranges. And this is what we came up with, our new and improved HS range of safes! With this range we have moved away from RAL9003 in favour of a sleek RAL7024 graphite grey. Complete with contrasting Phoenix red shelves as standard. Not only are our new safes stronger and more secure than ever before, they now do it in style. With the larger grade sizes of the HS safes (Grades II, III, VI & V) they boast new and improved bolt work, this angular bolt work aids in the prevention of drill attacks, and it also ads a sleek and sophisticated feel to the safes, while not compromising on the quality or security of the safes in any way. In the past we favoured light construction of our HS safes, we received feedback on this from you our customers and we have listened. Our new range of HS safes is all heavy construction, giving you what you have asked for, that tougher heavier robust feel to your security safe. 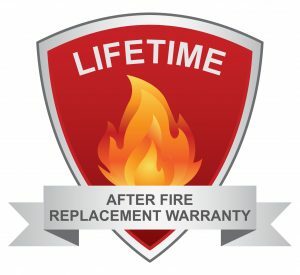 At Phoenix Safe, the clue is in the name for what we are most well-known for, our fire safes, with this in mind when the redesign of the HS range started, it was apparent one thing we wanted to include. 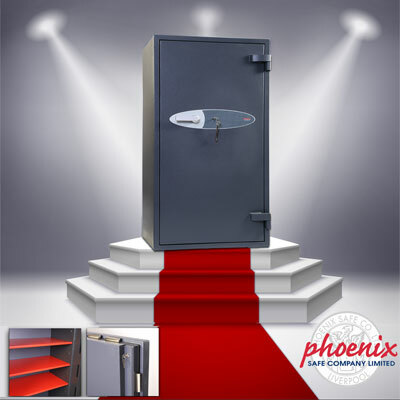 Dual Fire and High Security, that’s correct, these new improved High security safes, also have built in fire protection as standard, so when you are buying one of the new Phoenix HS range you are getting what we always want our customers to have, peace of mind. Peace of mind that your treasured valuables are not just protected from undesirable hands, but also that they are protected if the worst happens, and a fire breaks out at your premises or home. We have poured our hearts and souls into the new design of this range of safes, every detail has been meticulously checked and considered, to make sure we are producing not only the best performing products, but also the best looking. There is no excuse in 2018 to not perform at our best and also do it in style. Where peace of mind is guaranteed.